Two weeks back Rickie Fowler posted a great picture on Instagram of another great looking pair of Puma Golf Shoes. 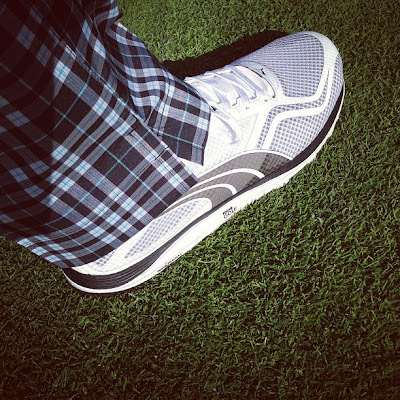 I'm going to talk to my Puma contact** here in Canada to see when these Puma Faas Lite Mesh Golf Shoes will be made available. The Faas technology, color and spikeless design sure look sweet. ** Looks like these are coming out in June 2013. Great video from The HcckersParadise who were at the 2013 PGA Merchandise Show, they got to talk with Grant from Puma Golf.